What is most riveting about Cayuse wines is the way they change in your mouth. The flavors don't just hang there for an amazingly long time; they compound. The wines cavort, tumble, spin, and dance. New flavors keep popping up unexpectedly, long after most wines would have completely faded. Eight hours after the bottles were opened, I went through them again, noting more (and different) complexities than when first tasted. I left small pours of the five syrahs sitting out overnight in stemware, and sniffed through them first thing this morning. They seemed just as fresh and detailed as they had originally. Baron presides over a "Domaine" ("This is not a winery!" he insists) that includes the not-a-winery, the Armada and Horsepower vineyards (the other vineyards are all nearby), and a complete organic farm, with chickens and draft horses and pigs, along with an expansive garden from which his workers obtain fresh produce. As is his customary practice, he buried canes last fall, and though his vines had to be cut down to the ground due to the late November freeze, the new growth is thriving and lush, and the grenache and syrah that I observed were bursting with tiny berries, just beginning to bloom. If you follow the scores, you can find my numbers and notes on the 2007 wines posted online at the Wine Enthusiast website. Suffice it to say that 2008, though different, is every bit as good. It's a wonderful experience to spend a day with the entire lineup, though it is truly an embarrassment of richness (and riches) – a bit like making an entire meal out of the dessert bar. Any single wine would be more than sufficient for a day's pleasure. Here are brief notes on all the new releases. Full notes and scores will be published in the magazine in a few weeks. A pale, pretty copper/onion skin color. Stunning aromas of strawberry, citrus peel, tree fruits, and minerals. Great concentration and power. Effusively fruity, bursting with ripe scents and flavors of berries and cherries. The concentration is exceptional, dense and layered and constantly reinventing itself as it rolls through a spicy, herbal finish. A mass of flavors – mineral, umami, dry tannins, spicy fruit – all sublimated to the earthy mineral base. Good acidity, not too much, and precise, mountain berry fruit. Superb sculpture and definition in this compact and lightly funky evocation of pure Cabernet Sauvignon. The deep, dense, super ripe berry flavors are framed within a bouquet dried herbs, pepper, mineral, astringent tannins. Good concentration, with tight-knit purple and black fruit flavors, a streak of coffee/espresso, and the characteristic herb and mineral flavors of the vintage. A huge wine, fat with the characteristic Cayuse funk, and accented with plenty of meaty asphalt. Potent and powerful, bursting with berries and plums, scented with the aromas of earth and sweet (not dried) herb, chicken stock, and flavors that run through the same exotic range. The only Cayuse Syrah that is co-fermented (with 8% Viognier). In the nose it’s hugely expressive; in the mouth; it’s a three ring circus of a wine, with things moving and shaking in all directions. Mineral, berry, mountain complexity, nuanced herb and earth and citrus, all in proportion. Right out of the chute the garrigue, the wild herb flavors are amazing. This is Northern Rhône in a glass, but with New World power behind the fruit. Bright and pungent, a mix of herb and tart berry and rock. A subtle, complex, utterly distinctive mix of flavors, with opening streaks of butter cookie, then mushroom broth, tightly-wound berry fruit, earthy coffee grounds, and even darker streaks of espresso and smoke and licorice. It is deeply layered with flavors that just keep piling on. Amazing wine. 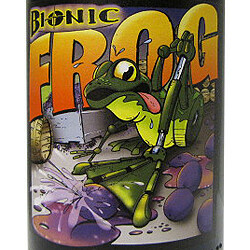 Overall a stunningly refined Frog, still powerful and distinctive, but perhaps (dare I say it?) a little more graceful, elegant – a downright feminine Frog! Dense and distinctive, the overt funkiness is drenched in liquid rocks and cured meat and drying tannins; all in proportion and a fine reflection of the vintage. Saturated in every way, this sappy, spicy, almost surreal wine piles on the wild, gamy fruit, the mineral-infused base, the leaf and forest flavors, all around tart berry fruits. Are you sure that was the 2008 Armada, and not the 2007 (which was just released this year)? I don't think the 2008 has been released yet. Anon - yes, it was the 2008.